An art dealer once told me that an image of a door is so much more interesting if it tells a story. So, of all the door pictures I have taken (and they are many because I LOVE doors) this is the one I have chosen for this challenge. Well, there’s a story behind those papers stuck in the letter box. Where does your imagination take you? 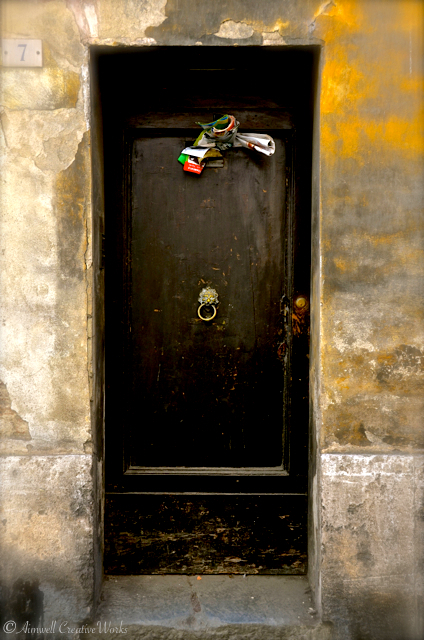 This entry was posted in Italy, Photography, Travel, Weekly Photo Challenge and tagged Aimwell CreativeWorks, door, Dorothy Chiotti, Italy, postaday, Siena, Travel, Weekly Photo Challenge. Bookmark the permalink.